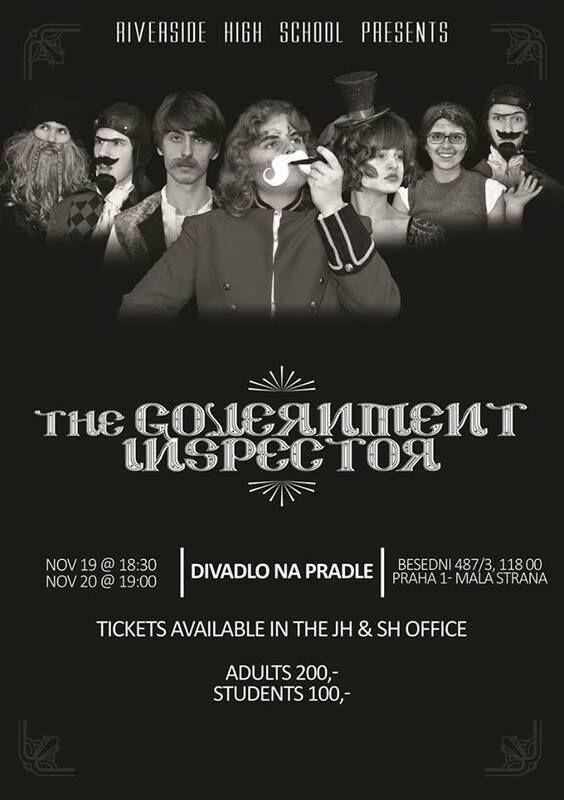 The Riverside Drama Department proudly presents “The Government Inspector” by Nikolai Gogol, adapted by Jeffrey Hatcher! The play is a Russian comedy of errors chock-full of greed, corruption and fried smelt. Place: Theater Na Pradle, Besedni 3, in Prague 1. Plot: When the locals in a small Russian hamlet learn that an undercover government inspector is coming for a surprise visit, an unfortunate case of mistaken identity sends the whole village spiraling into a world of panic and bribery. A wildly satirical theatrical classic.